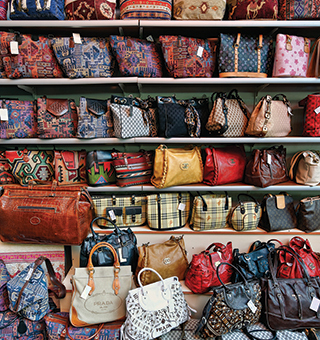 A discussion on the issue of counterfeiting and intellectual property theft with Professor Michael Czinkota and Managing Editor of SupplyChainBrain Bob Bowman. Counterfeit products and services are an international plague. It is no longer just the United States who is concerned. China’s biggest Internet companies have clamped down on a problem that has hit China’s e-commerce market particularly hard. Alibaba spends more than $16 million yearly fighting counterfeit goods. Intellectual property enforcement ensures that new ideas can blossom into economic opportunity. Intellectual Property Rights (IPRs) have become a core issue in the global economic debate. No longer confined to cheap knockoffs of luxury goods, IP theft is placing industry and the public at risk of highly adverse economic, safety, and health consequences. Globally, companies reportedly lose a total of $657 billion every year because of product counterfeiting and other infringement on intellectual property. Today’s key problems are with high-visibility and strong brand name consumer goods. Earlier, the only concern was whether a company’s product was being counterfeited; now, the raw materials and components purchased for production may be counterfeited. In general, countries with lower per capita incomes, higher levels of corruption in government, and lower levels of involvement in international trade tend to have more intellectual property violations. The international marketer must act to enforce intellectual property rights. No industry or country is immune from infringement, nor can they address the threat alone. There is also need for better education regarding the risks IPR violations pose and how to defend against them. For example, the pharmaceutical industry lobbied to make sure that provisions for patent protection in the NAFTA agreement were meticulously spelled out. PhRMA (Pharmaceutical Research and Manufacturers) addressed the issue of international IP protection by responding to the Special 301 Report issued by the United States Trade Representative (USTR) in May 2012. The PhRMA statement cited the need for IP protections in spurring innovation, research and development, as well as the need for fair international market conditions to ensure that patients have access to medications. One research firm estimated the global market for counterfeit pharmaceuticals to generate revenues between $75 billion and $200 billion a year. The Pharmaceutical Security Institute (PSI), a trade association created to address illegal pharmaceutical incidents, collects data on the number of counterfeiting, illegal diversion, and theft incidents. These incidents increased seventy-eight percent from 2005 to 2009. Pfizer reports that between 2004 and 2010 it seized more than 62 million doses of counterfeit medicines worldwide. More than 200 million counterfeit Eli Lilly medicines have been seized in 800 raids around the world. Asia’s World City, Hong Kong is committed to the protection of intellectual property. With the goal of enhancing consumer confidence in Hong Kong, and to strengthen the City’s reputation as a “Shopping Paradise” for genuine products, the Intellectual Property Department has launched the “No Fakes Pledge” scheme. The issuing bodies of the scheme are the Hong Kong & Kowloon Electrical Appliances Merchants’ Association Limited and the Hong Kong Coalition for Intellectual Property Rights of the Federation of Hong Kong Industries. With the help of strong marketing and growing participation, this campaign distinguishes honest and reliable retail merchants, thereby gaining the confidence and trust of consumers. In 2004, the Hong Kong Intellectual Property Department cooperated with the Guangdong Intellectual Property Office to launch the “No Fakes Pledge” scheme in Guangdong Province. All participating retail merchants of the “No Fakes Pledge” scheme have committed not to sell or deal in counterfeit or pirated goods and to sell only genuine goods. All retail merchants participating in the “No Fakes Pledge” Scheme will post the “No Fakes” stickers and tent cards in their shops. With the “No Fakes” logo, tourists and consumers can easily identify reliable retailers and shop with confidence. A number of other governments are drafting similar policies, which have served as a catalyst for enhancing protection in both the public and private sectors in those nations. Efforts to protect intellectual property, and modernize the patent and trademark system are crucial. The power of creativity and innovation applied to the solving of practical problems is not the exclusive province of any country or people. A victory over fakes and counterfeits will protect the quality and reliability of products and services, and lets customers be more informed and secure in their usage decisions. * – Ilkka Ronkainen (Ronkaii@georgetown.edu) is a member of the faculty of marketing and international business at Georgetown University.